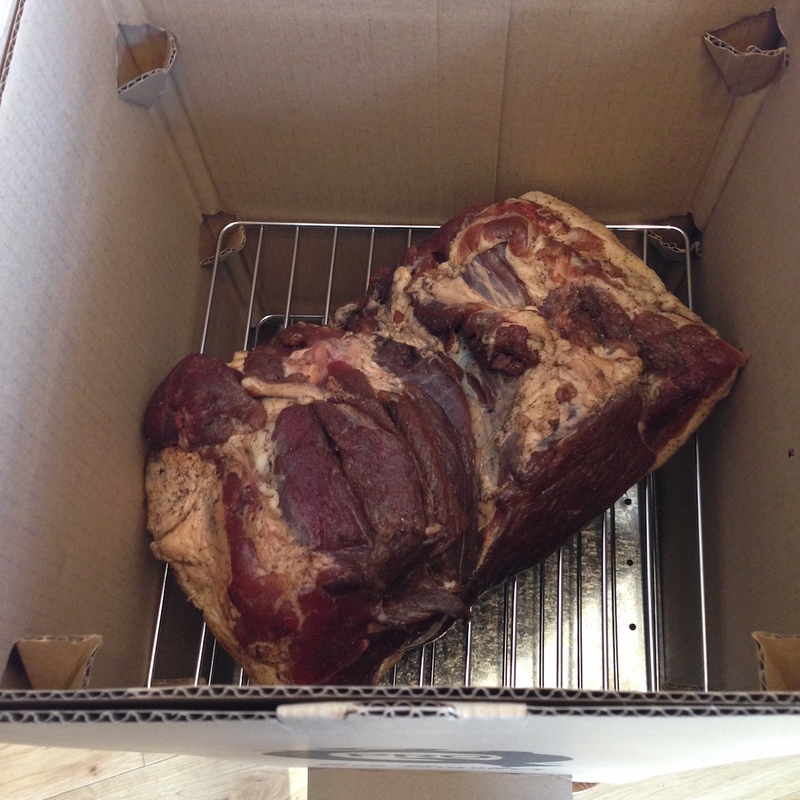 I bought a cold and hot smoker for myself as a Christmas present. 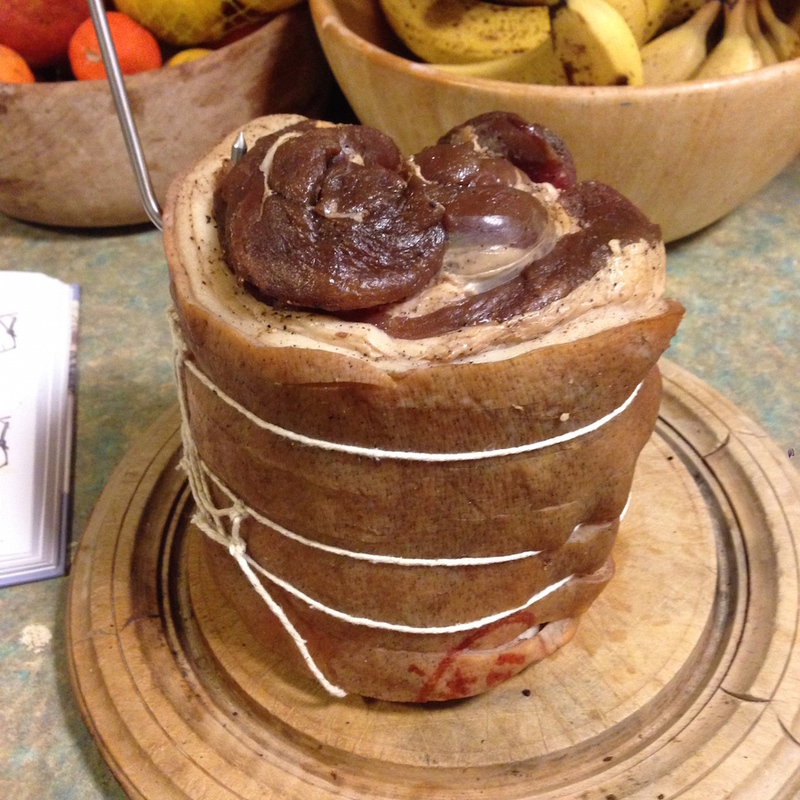 My friend George has been telling me of the wonders of smoking for some time (way more than a year) but as usual it has taken me a long time to get round to trying it – same thing happened with cheese making. 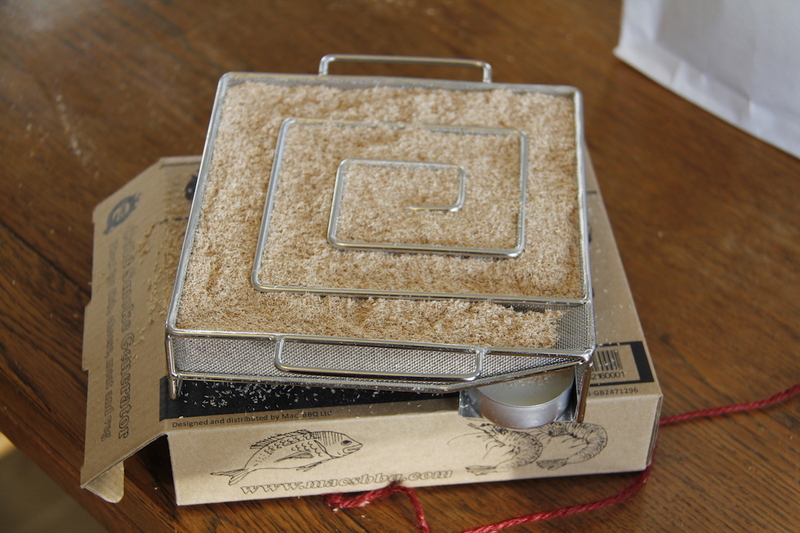 It is such an ingenious design. The smoker (pictured at the top of this post), full of wood dust goes in the bottom of a cardboard box. You light it with a tea-light and then it smoulders on its own for about 9 hours nicely smoking whatever you have arranged on the grills in the box. I decided to make speck which is a cured, smoked and air-dried shoulder of pork. 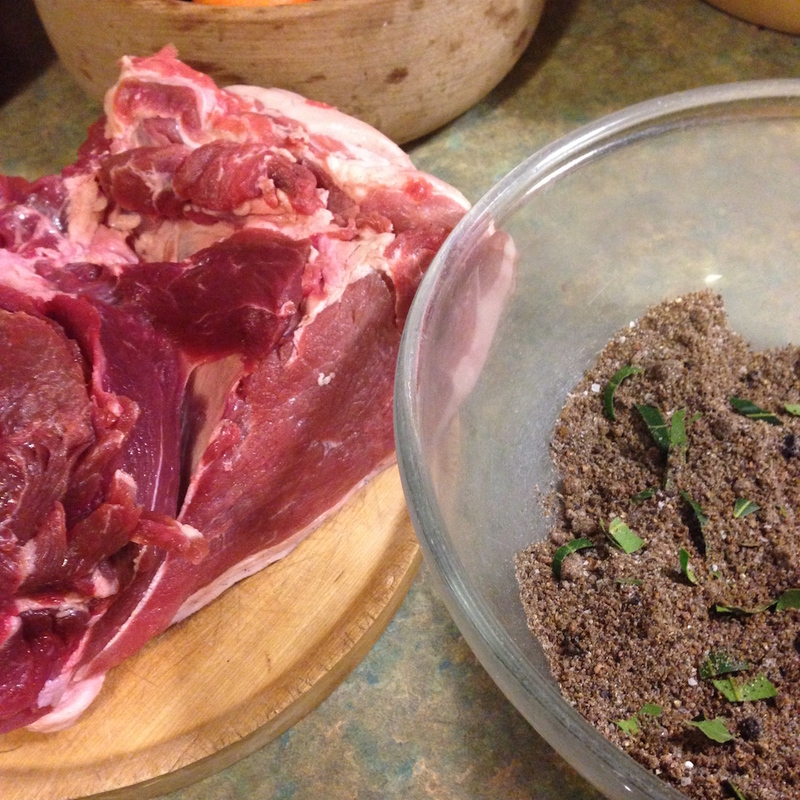 Ingredients: sea salt (3% of weight of the meat), 1/s tsp English mustard, 1/2 tsp grated nutmeg, 50g of ground juniper berries, 50g ground allspice, 50g ground peppercorns, 85g dark brown sugar, 1- shredded bay leaves. 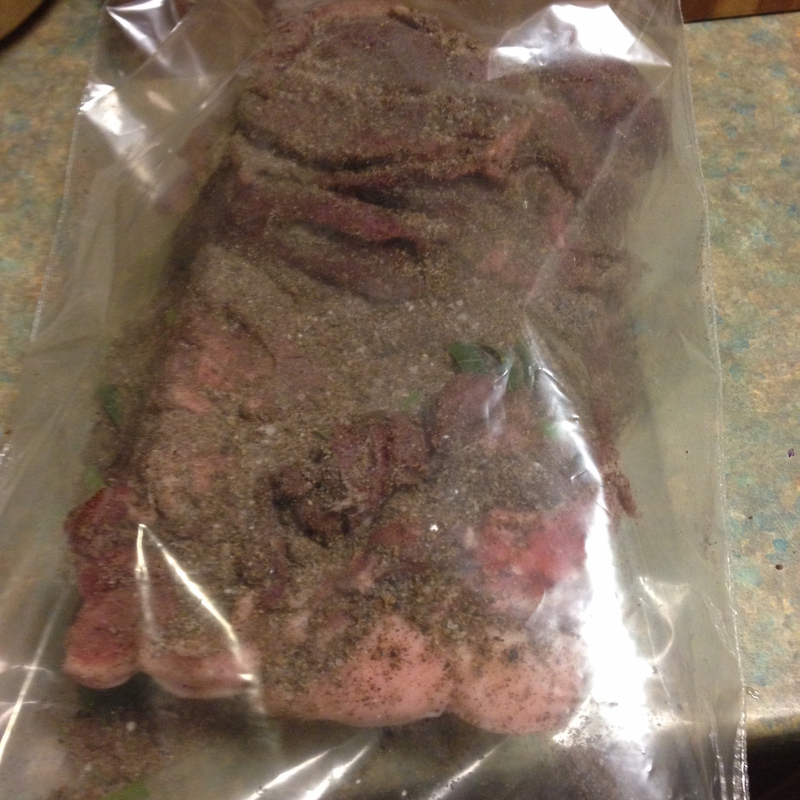 Rub the cure into the should and put it all in a plastic bag for 3 days per kilogram of weight. After the allotted time in the cure, take it out, wash off the cure and dry it. Leave the meat to sit in the fridge for a day or two. Smoke the meat for 4-8 hours. The tie it up and hang it somewhere cool where the flies can’t get to it until it has lost 30% of its original weight. This can take between 6-12 months – mine is now hanging in the shed. Next I am going to smoke some fish and mussels and maybe some cheese – yet again I can’t believe it took me so long to actually do this. Thanks for repeatedly telling me I should start smoking George – you were right – just like with the cheese making! I love your sense of adventure and willingness to experiment. I hope its delish! can I ask how I can get one of these? 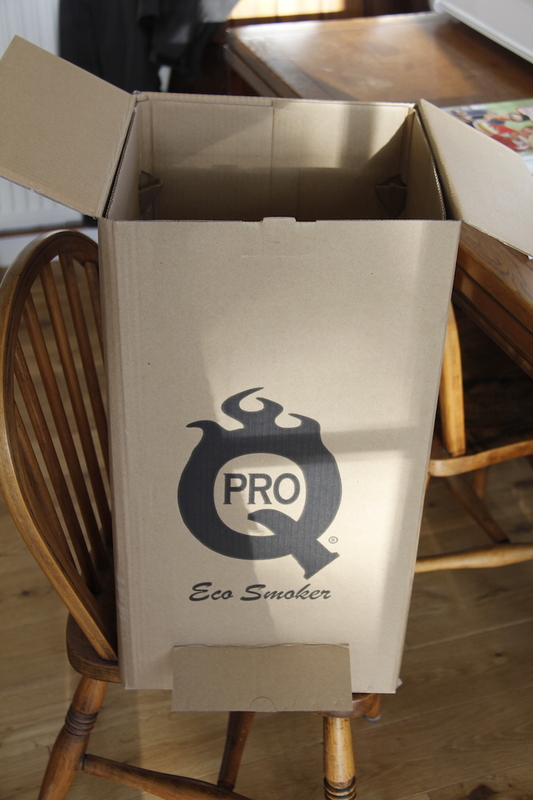 Hi, I got mine from http://hotsmoked.co.uk/ click on starter kits and then on the Eco Cold Smoker Kit to find the type I have. Hope that helps.